London, England, Jan. 31, 2019 — Semtech Corporation (Nasdaq: SMTC), a leading supplier of high-performance analog and mixed-signal semiconductors and advanced algorithms, announced sponsorship of Digital Catapult’s Future Networks Innovation Lab, which opened in London, Jan. 30. 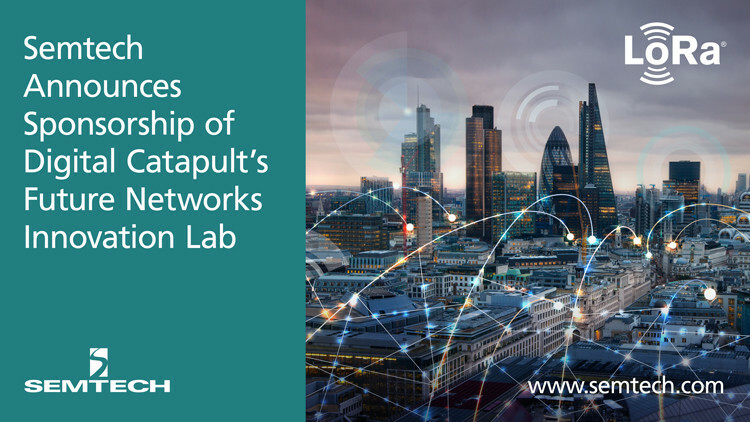 The Future Networks Innovation Lab is a center of excellence for driving potential value from networks, such as Low-Power Wide-Area Networks (LPWANs). The grand opening included a demonstration by Semtech of its LoRa® devices and wireless radio frequency technology (LoRa Technology) in a smart building solution.